How is carnival celebrated around the world? There are many places that celebrate parties during the carnival time, so let’s talk about some more original and famous. The Carnival of Rio de Janeiro is synonymous with music and samba, lights and sequins. Visited by more than 5 million people. 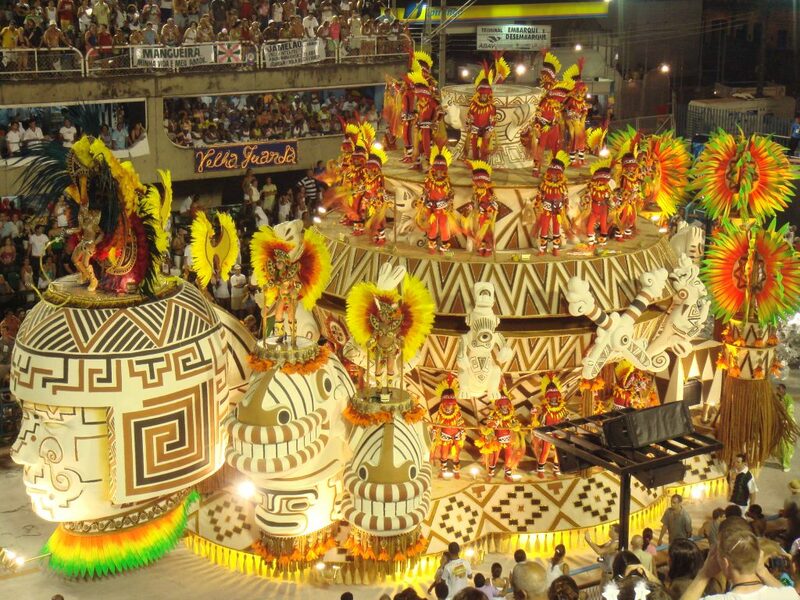 The apotheosis of the Rio Carnival is the parade of samba schools by the Sambódromo. Then the samba floods the city with the performances of samba schools which have been practicing for months, prepare comparsas and rehearsing their compositions with the aim of surprise. 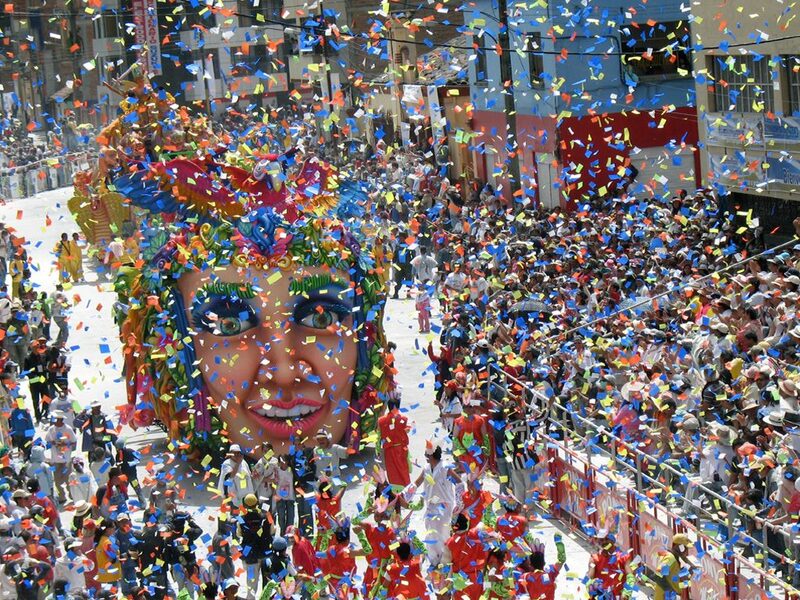 The Barranquilla carnival is considered laud of World Heritage. Fusion between the catholic tradition and old pagan festivals, it has become a colour the dance and music event with the Colombian cumbia as protagonist. The battle of flowers is the starting point of four days of fun and party, in which parades of floats, comparsas and dance groups follow each other. 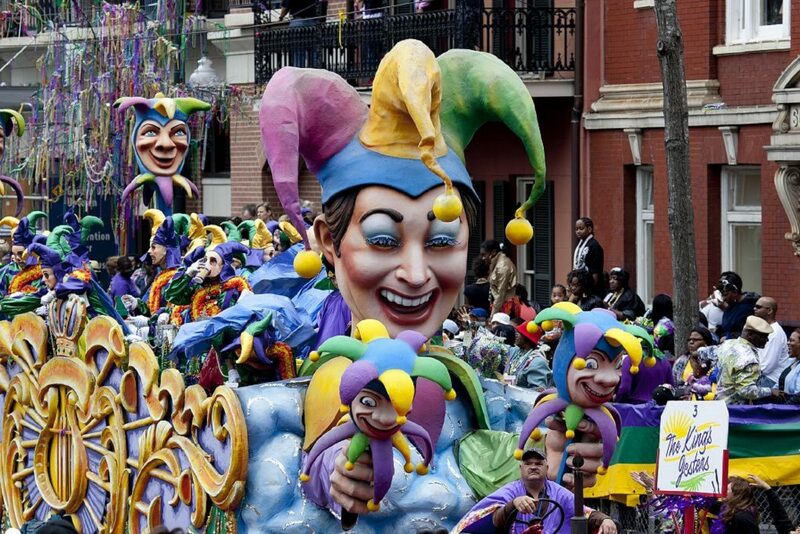 In New Orleans city bathed by the Mississippi, Carnival is called Mardi Gras. For two weeks the streets of the city are invaded by parades of floats and costumes.Each year, among all the floats are those made by different Krewe (associations of craftsmen) that run through the main streets of the city. In New Orleans the Carnival is a combination of luxurious costumes, floats and extravagant comparsas that parade to the sound of jazz music. For ten days the square of San Marcos is filled with elegance and good taste with the parades of disguises and the processions of traditional `gondolas´ by the main cannals of the city. 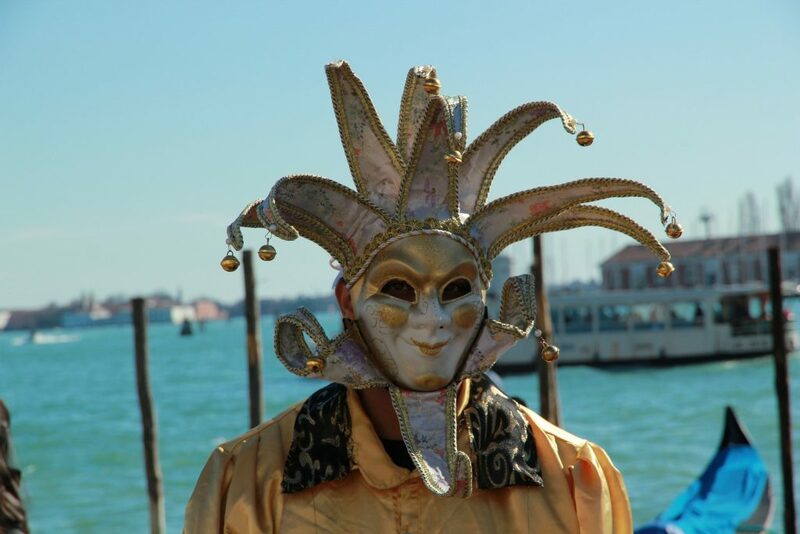 The origin of the Carnival dates back to the 11th century and is typical of period costumes, masks which allow the anonymity of its inhabitants and the environment of disinhibition. The carnival is declared Fiesta of International Tourist Interest. It is a spectacular event, in which disguises, parades, floats and fun are mixed with humor and irony. The numerous comparsas and murgas (groups which sing generally critical songs related to the present) take place during days, culminating the Tuesday of carnival. That day a great parade, which goes back to the beginning of last century, everyone participates with the carnival queens as main protagonists. Those Parades of floats, charangas, cabezudos and bands of music go all near the city decked and illuminated with thousands of colored bulbs. 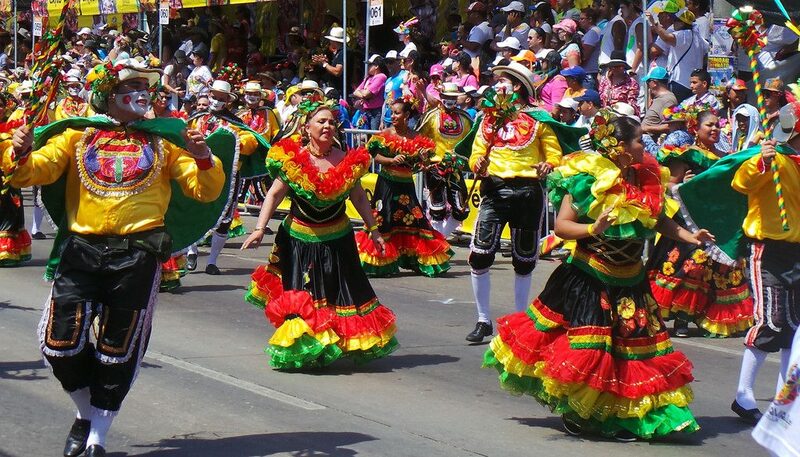 The great event of the carnivals of the city of the Costa Azul are called Batallas de Flores, which take place on the fixed days indicated consisting of a shower of flowers thrown from the floats and to the crowd of spectators. The contests of cabezudos, floats and characters have great popularity.